We work with top advertisers to deliver premium advertising for your media sites at no additional cost. Your content is 100% safe, no ad interference with on site content. Track your revenues and campaigns with your ad server account access. Simple monthly billing for all campaigns and ads delivered. Plug & Play solution – just connect to our ad server and we will do the rest: technology, sales, client relations. We guarantee fixed price policy per ad impression. 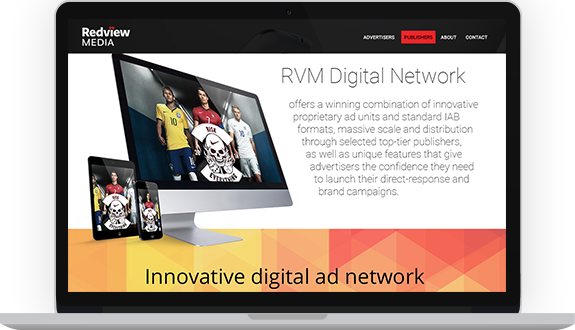 With a careful screening to ensure brand-safety, strong controls, and premium ad units that attract the best brands, Redview helps you grow your revenue and retain peace-of-mind at the same time.